Integrating Microsoft Bot Framework with Bitrix24 Open Channels. 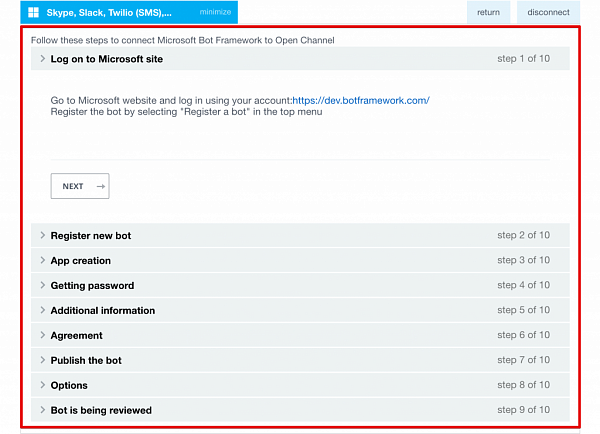 Open channels now support Microsoft Bot Framework. In plain English that means that you can easily integrate Bitrix24 with Skype, Twilio (SMS), Kik, Slack, GroupMe, Email Office 365 and other platforms and bots that Microsoft supports. Making Microsoft bots and Bitrix24 channels best friends forever is an easy and quick process, if you have experience with the Redmond’s platform. First, you have to access Bitrix24 open channel settings and select Microsoft Bot Framework. 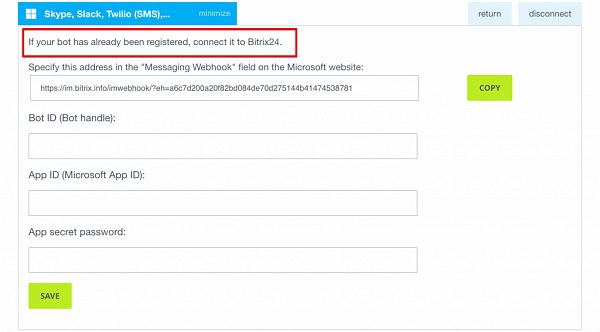 If you already have a bot in MsBF, all you have to do is fill out three fields inside Bitrix24 and add a URL from the Bitrix24 open channel form to Messaging Webhooks in your Microsoft account. If you don’t have MsBF bot yet, you’ll be prompted to create one. This process takes 10 steps.